When working in a warehouse, the safety of the individuals who operate in the warehouse each day is a primary concern. Here at Shelf-Clips.com, the products we sell are directly tied to the warehouse and safe warehouse practices, we think it’s important for our customers to know and be reminded of proper warehouse safety precautions to protect themselves and their employees. Sometimes, individuals who work in a warehouse everyday or have worked in one for many years forget to implement important safety precautions of the warehouse. Likewise, newer workers may be unfamiliar with these same precautions. Because enforcing these precautions doesn’t necessarily lead to a direct increase in profit, they can easily be forgotten. But, in the scheme of things, a safe work environment will promote productivity and in the end can deliver a larger profit over the long run. 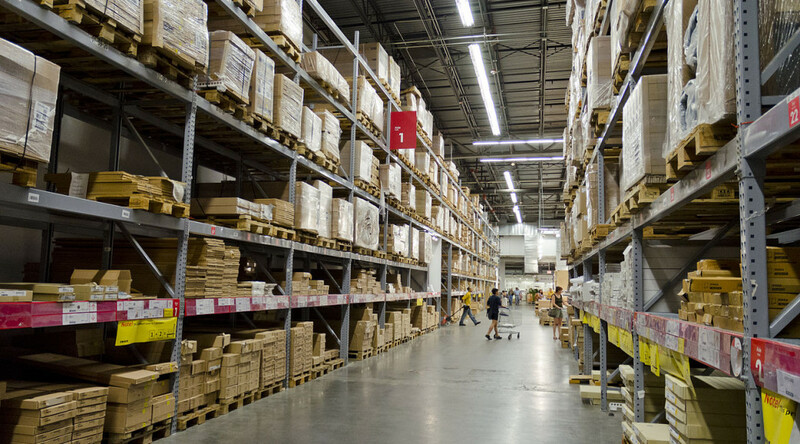 The U.S. Department of Labor states that with more than 145,000 individuals working in over 7,000 warehouses across the nation, a certain number of accidents are likely to occur. Unfortunately, the fatal injury rate for the warehousing industry is among the highest of any industry. To help do our part in contributing to warehouse safety and workplace well-being, we’ve curated a few different ways to promote safe warehousing, including a few things to further look into if you manage or work in a warehouse. Major emphasis should be placed on the precautionary measures involved in preventing injuries or accidents before they happen. One of the best ways to prevent injury is to educate individuals about proper safety measures. Proper training for your warehouse employees is crucial, and many accidents can be prevented with proper planning and preparation. This also means refreshing the memory of your employees who may already be familiar with the equipment, ensuring proper safety measures are still being followed. Another necessary element is the establishment of a communication system for your employees to notify one other of their location at any given time. It is the responsibility of the business or warehouse owner to ensure essential procedures are in place such as fire, lockout and equipment procedures. One way of achieving this is by creating a safety committee to implement and enforce such procedures, utilizing individuals such as warehouse floor workers, shift supervisors, and department managers to be leaders of the group. These machines are among the biggest contributors to warehouse accidents. 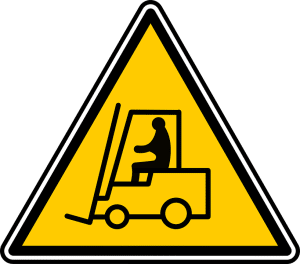 According to the U.S Department of Labor, about 100 employees are killed and 95,000 injured each year in the operation of forklifts. However, there are numerous preventative measures that can help mitigate the risk in your warehouse. Listed below are just a few. 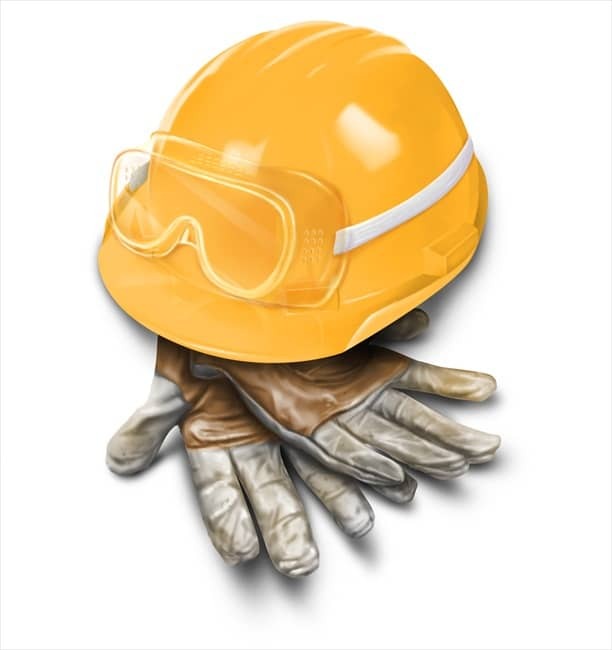 –Misuse of Personal Protective Equipment PPE: This is meant to be used/worn at all times, but is often ignored. Included in PPE are slip-proof boots, which prevent falls and often have leather and steel in them for extra protection. A back brace may be necessary if for workers who continuously lift heavy objects. –Storage Violations: If equipment and boxes are not properly stored, they could fall on a worker at any time. This also means being aware of weight capacities, and ensuring storage racks are not overloaded. Too much weight can stress the metal and even cause it to break in certain scenarios. One of the easiest ways to make storage of heavy items safer is by placing heavier objects closer to the ground than their lighter counterparts. –Lockout/Tagout Violations: This process requires at least two individuals with different sets of keys to lock a machine before it is able to be worked on, ensuring that it will not accidentally be turned on while being fixed. Many individuals do not follow through with this procedure because they feel it takes too long compared to the time it takes to clean/fix the machine. The safety of each warehouse is not only a priority,but also the law. The U.S. Department of Labor’s Occupational Safety and Health Administration (OSHA) monitors and ensures the safety of workplaces. The average cost of a recordable injury in the United States is $35,000, according to the U.S. Department of Labor. This one injury can seriously impact a company’s productivity, workers compensation, and the business as a whole. If a company continuously reports even small injuries, OSHA will be attracted to the company for an inspection. During this inspection, if they find various safety violations they will begin to inflict fines. The most reliable way to avoid these inspections and fines is to comply with OSHA regulations. Of course, OSHA should not be a business’s main concern, but should be secondary to the wellbeing of the workers. If a good safety program is in place, it will be above and beyond OSHA standards. Make warehouse safety a priority.